Our estimates are for stockpiles of oil to decline by as much as 50 million barrels this year if the OPEC deal is extended. And every indication suggests it will be extended until at least the end of 2017, if not beyond. Reductions in global stockpiles of oil CLM7, +0.43% have occurred already, but not in the U.S. or in OECD countries, where stockpiles have risen since last year. When stockpile reductions start to influence domestic stocks, the perception in the oil market will be dramatically different than it has been recently. Efforts by the Organization of the Petroleum Exporting Countries so far have worked to curtail oversupply. Still, those efforts have taken place only during seasonally low demand periods. The added value of the production cuts is not nearly as obvious during low demand cycles as it will be during peak demand seasons. Additionally, the U.S. will likely be the last place where OPEC’s production cuts are felt most. 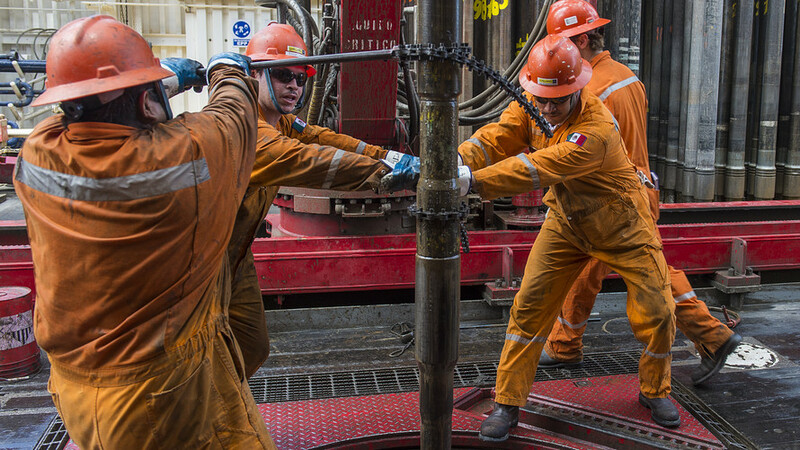 The U.S. has been the focus of bearish oil investors, but American shale producers are unlikely to be able to meet growing oil demand in the years to come, even with recent rapid production growth. And major projects that might be able to match the expected demand growth have been postponed because of the relative weakness in oil prices versus the cost of those efforts. This sets the stage for both immediate and future supply concerns. Arguably, the recent decline in oil had everything to do with concern that Russia would not participate in an extension. But now, not only is Russia vocalizing support for an extension, but it is also, in coordination with Saudi Arabia, hinting at an extension beyond six months. Had this been communicated to the market two short weeks ago, we believe oil prices today would be significantly higher. But the delay in this communication has allowed bearish investors to bring fear to a market that is about to face a deficit. Reasonably, if OPEC did not extend the agreement, it would be negative for prices, but an extension of the agreement is positive, and from these levels quite bullish. Using data supplied by OPEC that is largely substantiated by the U.S. Energy Information Administration (EIA), oil stockpiles have increased during this seasonally slow period by roughly 400,000 barrels a day in the first quarter and by roughly 900,000 barrels a day in the second. This does not include the stockpiles in the Caribbean and other places where measurements are less obtainable. So far, this seasonally slow period in which stockpiles are building has added fuel to the bearish case in oil. After all, the data come every week and stockpiles normally build during the first part of the year, so it is easy to say that OPEC’s efforts are not reducing stockpiles, but that is not completely true. OPEC’s effort substantially reduced stockpiles from what they would otherwise be. In 2016, for example, supplies grew by about 1.3 million barrels per day (mbd) more than in 2017 so far. In addition, starting in June our model suggests that the oil market will come into deficit, where demand levels exceed supply levels, and there it will remain for the rest of the year. Our estimates suggest that global stockpiles will decline by roughly 1.1 mbd in the third quarter and 500,000 barrels a day in the fourth quarter if OPEC extends. That would cause global stockpiles to experience a material decline in 2017, but the evidence will not be regularly visible until the second half of the year. Oil bears have been using seasonal weakness in conjunction with a recent lack of confirmation from Russia to promote the negative side of the debate, and bulls have had little ammunition, until now. Russia is finally vocalizing support, the Saudis and Russia are talking about extending beyond six months too, and material deficits are on the immediate horizon. But there is also a wild card and a long-term catalyst. The wild card is the possible border tax, and the long-term influence is the lack of new projects to meet increased global demand in the years ahead. The bullish sentiment for oil would have been maintained if Russia confirmed an interest in participating in the production-cut extension two weeks ago. Still, oil can turn on a dime, but the bullish case for 2017 and beyond has not changed.